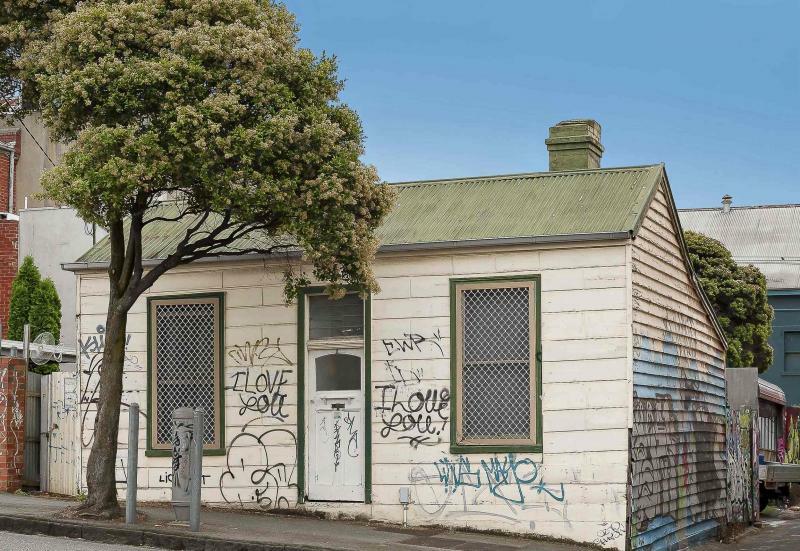 The itty-bitty house at 2 Derby Street, Collingwood, is for sale! This house has been for lease more times than I can remember in the past 6 or 7 years, but you now have the chance to own it. Less than half a mill – bargain! It also comes with authentic “street art”! ~ by Kitten of Doom on December 28, 2013.